Healthy Eating Research (HER), a group sponsored by the Robert Wood Johnson Foundation, has just released a report on food marketing to kids, an issue brief with recommendations, and an Infographic summarizing the report’s major points. The recommendations are aimed at the food industry’s voluntary guidelines for what and how junk foods can be marketed to kids. These are famously weak and HER set out to tweak them to make the recommendations stronger. This report provides an excellent summary of what’s wrong with marketing to kids. Both food products and brands (not just products). These are tweakings of voluntary guidelines. I don’t see the point. If we really want the food industry to stop marketing unhealthy foods and drinks to kids, the guidelines can’t be voluntary and tweakings are unlikely to help. The industry will never do this voluntarily. That’s the issue such reports need to address. Progress on ending soda industry marketing to kids? Not much. The Yale Rudd Center for Food Policy & Obesity has just released its 2014 Sugary Drink FACTS report. Beverage companies spent $866 million to advertise unhealthy drinks in 2013, and increase since the previous year. Children and teens remain key target audiences for that advertising. Much marketing is done through Facebook, Twitter, YouTube, and advergame apps. Pepsi spent $16 million on Spanish TV advertising in 2013, up from none in 2010. Dr Pepper Snapple spent $20 million (up from $7 million in 2010) to support its regular sodas. African-American teens watch more than three times as many ads for Coca-Cola as do white kids. Coca-Cola’s new product marketing, “Share a Coke with “insert name here”” has got me thinking. I will admit, initially my thought on the topic was limited to disappointment at the limited chances of finding a can with my name on it. However, I have been pondering, is this marketing strategy an attempt by Coca-Cola to avoid responsibility for the health consequences associated with selling an sugar filled, unhealthy product? Will they attempt to claim that that the suggested serving sizes is half of the container because they are suggesting you share? I have not observed an increase in people sharing their can of Coke. Your thoughts on the issue would be appreciated. Love the question, particularly because I was given one of these, name made to order. This can is most definitely not to share, not least because it’s the 7.5-ounce size (nevertheless, 90 calories and a whopping 25 grams of sugar). Don’t you wish you had one with your name on it? That’s the point. This has been one of Coke’s most successful public releations campaigns, ever. But Share a Coke has generated criticism that it violates Coke’s promise not to market to kids. In Ireland, the cans appear with the 100 most popular names of children ages 7 and 8. In countries like Pakistan, the cans are labeled with “mama” or “papa,” again raising questions about the target age group. The campaign may be generating buzz—it’s fun to see your name on a Coke can— but once you have one, that’s it. Share a Coke is fizzling as a sales generator. Better get your collectors’ item now! Run a fun campaign to get kids to eat more fruits and vegetables. Set nutrition standards for marketing to kids. Strengthen its “already nutritious” children’s menu. Do a video collaboration with Disney’s Muppets to encourage piling on the veggies. Provide kids’ meals with lowfat or nonfat milk or water as the default. I will be keeping an eye out for those signs on Subway’s doors and the other ways the chain says it will promote healthier meals for kids. I didn’t see anything about when all this starts, but I hope it’s soon. The Yale Rudd Center, in collaboration with the Robert Wood Johnson Foundation, has just released its 2013 report on fast food marketing to kids. This report takes a look at what, if anything, the top 18 fast food restaurant chains have done to improve the nutritional quality of menu items since the last report in 2010. It also analyzes changes in marketing to children and teens on TV, the internet, and social and mobile media. Quick summary: getting worse and increasingly focused on minorities. Coming soon to a supermarket near you: Sesame Street characters on packages of vegetables. Washington, DC – As part of First Lady Michelle Obama’s Let’s Move! initiative, Mrs. Obama today joined Sesame Street’s Elmo and Rosita to announce that Sesame Workshop and the Produce Marketing Association (PMA) joined the Partnership for a Healthier America (PHA) in a two-year agreement to help promote fresh fruit and vegetable consumption to kids, making those healthy choices a little easier for busy parents and families to make. 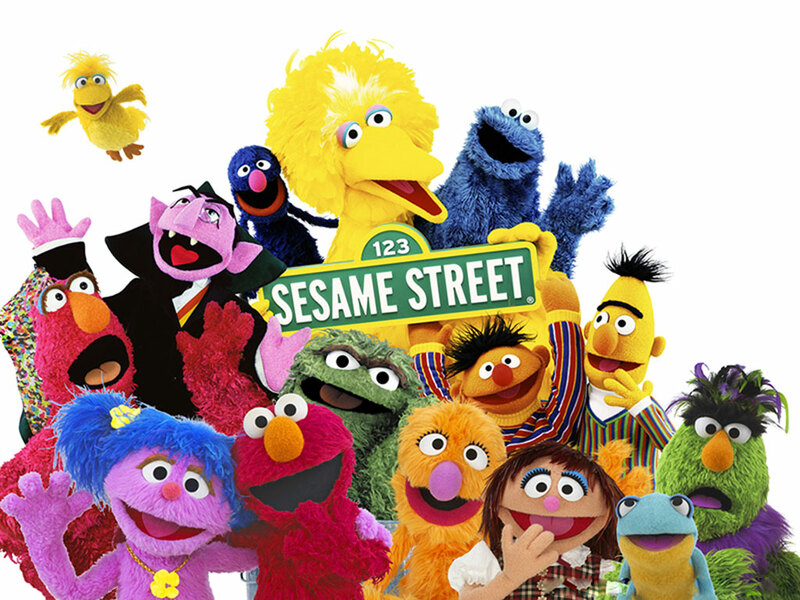 The agreement allows PMA’s community of growers, suppliers and retailers to utilize the strength and influence of the Sesame Street brand without a licensing fee, using characters like Big Bird, Elmo, Rosita and Abby Cadabby to help deliver messages about fresh fruits and vegetables. Sesame Street characters may be on produce in stores as early as mid-2014. This is big news. Let’s Move! is attempting to level the marketing playing field and give fruits and vegetables a competitive edge. I, of course, have mixed feelings. I’ve long been on record as opposed to marketing anything to kids, whether good, bad, or indifferent. Marketing is not education. Education is about imparting knowledge and promoting wisdom and critical thinking. Marketing is about creating demand for a product. Children are demonstrably unable to tell the difference or, for that matter, to distinguish marketing from entertainment. That is why marketing to children crosses an ethical line. But if the foods are healthy, don’t the ends justify the means? Isn’t anything that gets kids to eat healthy foods worth doing? After all, kids live in a marketing environment, so marketing might as well be used to do good rather than harm. This is the rationale behind the marketing of baby carrots with “eat ’em like junk food” ads. Reportedly, these ads increased sales of baby carrots. But perhaps this campaign also reinforced the idea that kids are only supposed to eat foods that come with cartoons or toys? I’d like to see the data on the long-term effects of the campaign on sales, whether sales dropped when the commercials stopped, and whether they affected kids’ attitudes toward eating vegetables in general. In the meantime, this will be an interesting experiment. I’m hoping researchers are ready to go, have their evaluation methods in place, and are already collecting baseline data. corporate America’s biggest players…stand to benefit from exposure, public goodwill generated from being involved in a public health or charitable effort or the policy itself. Big lobbying forces and major industry groups like the American Beverage Association, the International Bottled Water Association, the Food Marketing Institute, the Grocery Manufacturers Association, the National Restaurant Association, the U.S. Chamber of Commerce and many others have all worked closely with the East Wing on those initiatives, both of which heavily focus on private sector contributions. If kids eat more healthfully for the next couple of years as a result of this campaign, it will be hard to do anything but applaud it. Although the questions raised by this campaign are uncomfortable, I’m going to try to keep an open mind and wish it the very best of success. Addition, October 31: Obamafoodorama’s eyewitness account includes the First Lady’s press release.